"You're getting the up-to-date protocols and everything in one place." Winship physicians and researchers were asked "Why Winship?" 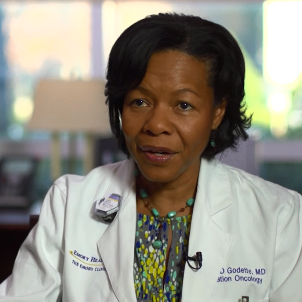 Karen Godette, MD, a radiation oncologist and medical director at Emory University Hospital Midtown answers by explaining Winship's multidisciplinary approach to patient care.